Given the fundamental importance we attach to the values of the circular economy and environmental protection, each week Armor 3D offers you an article covering a project combining 3D printing, the circular economy and environmental awareness. Today we are presenting to you a 3D-printed and biodegradable surf board project. Baptised “Dolphin Board Of Awesome” (DBOA), the project was launched by Zachary Ostroff and Dr Nathe Petre. 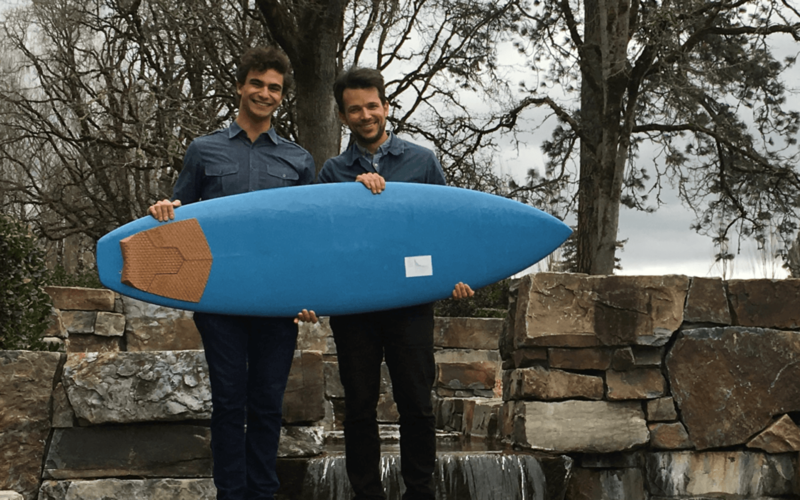 It is the first surf board to be made via biodegradable and recyclable 3D printing. Similar to the Adidas and Parley project we presented to you recently, the material used to produce the DBOA board is to a very great extent an abundant pollutant, but we’re not talking about plastic here. The board is printed using an algae found in the eutrophic lakes of the Mississippi. It is toxic and develops there in an invasive manner, stagnating and slowly killing the lakes’ ecosystem.Zachary Ostroff and Dr Petre are collaborating with a student from Imperial College London, who is helping them to recycle plastic bottles bottles to create certain parts of the board. This shows that a surf board can be printed with just about any material using additive manufacturing, providing you have the necessary know-how to make the technology work! In total some 10 different people were involved in the production of the first prototype, which was completed after 6 months’ work. But the creators are not planning on stopping there, quite the contrary! Classic surf boards are made from numerous pollutants and toxic materials. Zachary and Dr Petre realised that besides being environmentally friendly, the production cost of their surf board was much lower than that of a classic board. 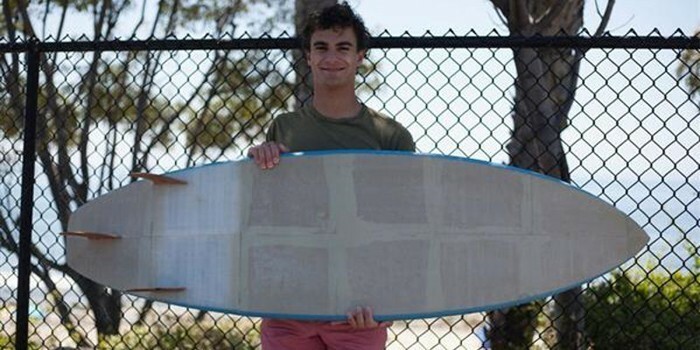 The board is currently being tested by Zachary and professional surfers in California. For his part Dr Petre has received a guarantee from Imperial College London, which has agreed to make available a larger scale printer that enables the whole board to be 3D printed in one go. In an interview with the website Magicseaweed, Zachary explains that the ultimate objective of the project is not to completely disrupt the surf board market but simply to enable people who are environmentally aware and have experience of 3D printing the possibility of printing their own board at an unbeatable price. However, one of the drawbacks is that the printed board is heavier than a normal board. So the creators of the DBOA are working on this very issue with experts in modelling and 3D printing as well as from the maritime field, seeking to gain inspiration from sea creatures (hence “Dolphin”) to create an even more hydrodynamic topology using less material and consequently lower weight. And the initiatives are only just beginning, with Surfdome – a leading company in the sale of surfing accessories in Europe – having expressed an interest in collaborating on a surf board model made of waste collected from beaches!